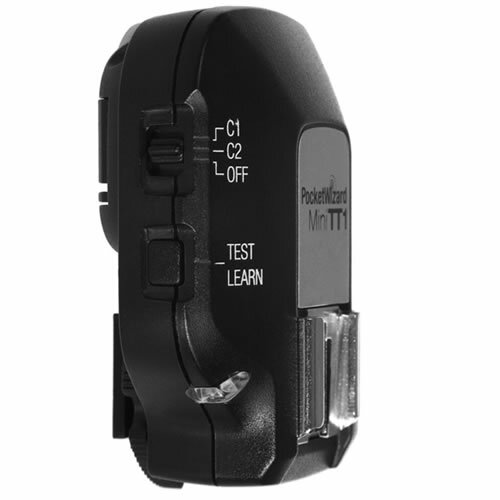 A new PocketWizard Utility program is provided to support the MiniTT1 via a USB port. The Utility allows you to configure your channel settings, dial in your HyperSync timing, adjust your sleep-mode timers and update your product to the latest firmware. 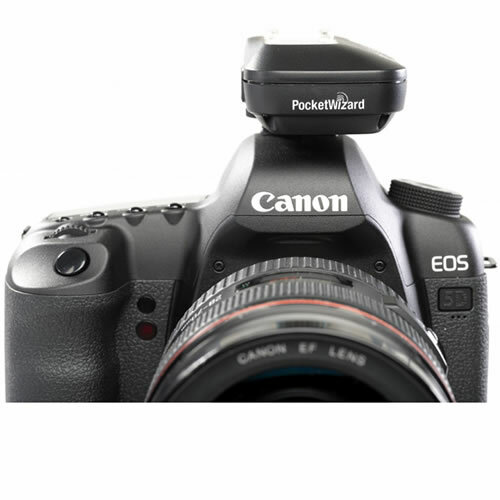 ControlTL™: PocketWizard’s newest firmware platform taps into the camera’s digital communications to enable an entirely new level of remote flash capability through our proven radio system, beginning with remote TTL for Canon E-TTL II systems. ControlTL firmware is configurable and upgradeable for “future-proof” continuous improvement. Find more details on ControlTL here. 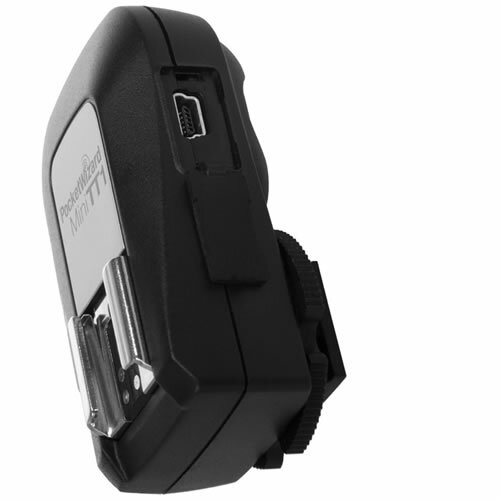 Dedicated E-TTL II Triggering: Locking your MiniTTI Transmitter into the hot shoe of a Canon DSLR camera and mounting E-TTL II flashes onto FlexTT5 Transceivers gives you full autoflash exposure control with the freedom and reliability of a PocketWizard radio. There are no special settings to make or modes to call up. Use the camera, on-camera flash or flash commander controls for flash compensation, zone and ratio control. Power Tracking: Change any of your control settings on your flash or camera and the system adjusts for those changes. Change your flash compensation to tweak the exposure or make adjustments in shutter speed, aperture or ISO and the system communicates the changes to your flash. Eight Frames per Second: Never before have you been able to shoot remote E-TTL II at this speed. Nothing else comes close. HyperSync™: HyperSync allows photographers to achieve faster X-sync speeds, up to 1/500th second, with full power flash. Now you can cut the ambient light and use wide-open apertures, outdoors in bright sunlight. HyperSync works with TTL speedlights and full size studio flash. All you need is a MiniTT1 or FlexTT5 on camera that has been tuned to your specific camera via the PocketWizard Utility. FP/High Speed Sync: Need more speed? Push your ControlTL system beyond 1/500th and go into FP/High-Speed sync mode automatically. Simply change your shutter speed to get flash sync all the way to 1/8000th. No buttons to press or settings to change! 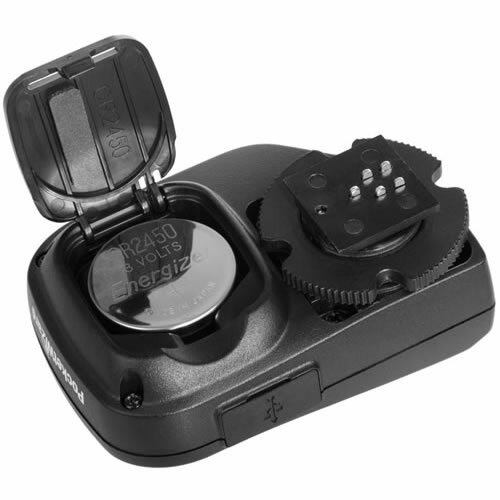 Low-Profile Design: The MiniTT1 Transmitter is the smallest PocketWizard ever, utilizing an internal antenna and common coin-cell battery. At just 2.3oz (65 grams) you barely realize it’s on the camera. 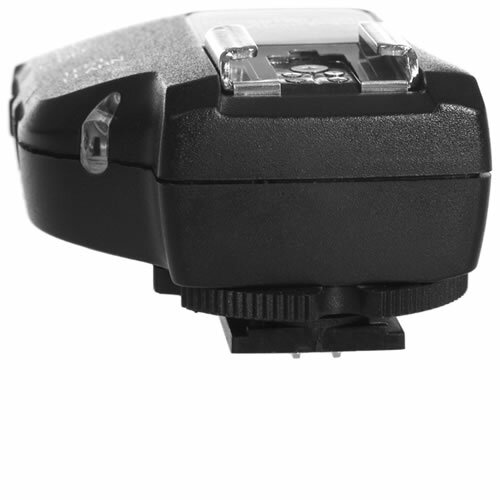 Built-in Hot Shoe: Lock your Canon flash into the FlexTT5’s dedicated hot shoe and combine your remote flash with on-camera flash or use the on-camera flash for additional E-TTL II control only. The metal and glass reinforced resin hot shoe assembly is a superstructure onto itself and incredibly durable. The best part; no more cords. 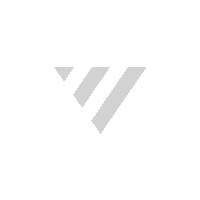 PocketWizard Compatible: The MiniTT1 operates on the same channels as all other PocketWizards and will work with any unit you may already have. Channels / Learn Mode: The MiniTT1 has two channel configuration settings; C1 and C2. Each can be programmed as needed with up to 20 ControlTL channels for TTL photography, or 32 standard channels for manual flash photography. TTL and manual flashes can be combined in a lighting situation. Use the Learn function to quickly program channels, or the reset function to configure back to factory settings. Power Saver: The MiniTT1 Transmitter will go to sleep 10 seconds after your camera does to conserve energy. Just touch the shutter button half way to wake both the camera and the MiniTT1. 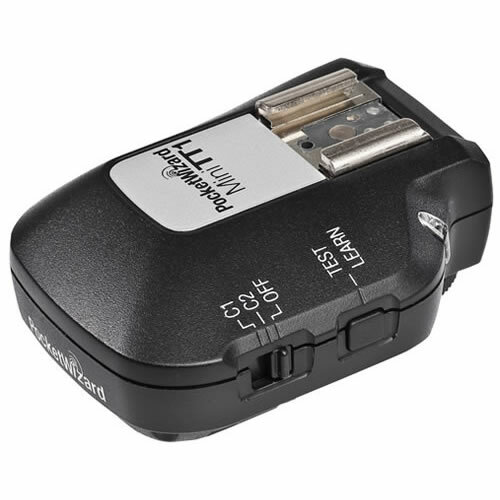 It works on the supplied CR2450 coin cell battery (or optional CR2354 for in the field options) that provide hundreds of hours of battery life.